How should we respond to these trends? 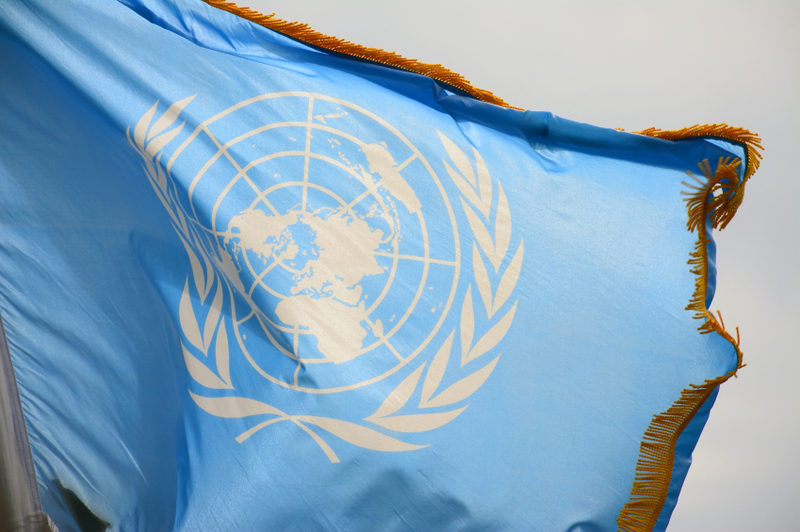 There are those who argue that the ideals enshrined in the UN charter are unachievable or out of date — a legacy of a postwar era not suited to our own. Effectively, they argue for a return to the rules that applied for most of human history and that predate this institution: the belief that power is a zero-sum game; that might makes right; that strong states must impose their will on weaker ones; that the rights of individuals don’t matter; and that in a time of rapid change, order must be imposed by force. Just as force alone cannot impose order internationally, I believe in my core that repression cannot forge the social cohesion for nations to succeed. The history of the last two decades proves that in today’s world, dictatorships are unstable. The strongmen of today become the spark of revolution tomorrow. You can jail your opponents, but you can’t imprison ideas. You can try to control access to information, but you cannot turn a lie into truth. It is not a conspiracy of US-backed NGOs that expose corruption and raise the expectations of people around the globe; it’s technology, social media, and the irreducible desire of people everywhere to make their own choices about how they are governed. Let me give you a concrete example. After I took office, I made clear that one of the principal achievements of this body — the nuclear nonproliferation regime — was endangered by Iran’s violation of the NPT. On that basis, the Security Council tightened sanctions on the Iranian government, and many nations joined us to enforce them. Together, we showed that laws and agreements mean something. Now, within Russia, state-controlled media may describe these events as an example of a resurgent Russia — a view shared, by the way, by a number of US politicians and commentators who have always been deeply skeptical of Russia, and seem to be convinced a new Cold War is, in fact, upon us. And yet, look at the results. The Ukrainian people are more interested than ever in aligning with Europe instead of Russia. Sanctions have led to capital flight, a contracting economy, a fallen ruble, and the emigration of more educated Russians. In such efforts, the United States will always do our part. We will do so mindful of the lessons of the past — not just the lessons of Iraq, but also the example of Libya, where we joined an international coalition under a UN mandate to prevent a slaughter. Even as we helped the Libyan people bring an end to the reign of a tyrant, our coalition could have and should have done more to fill a vacuum left behind. We’re grateful to the United Nations for its efforts to forge a unity government. We will help any legitimate Libyan government as it works to bring the country together. But we also have to recognize that we must work more effectively in the future, as an international community, to build capacity for states that are in distress, before they collapse. Nowhere is our commitment to international order more tested than in Syria. When a dictator slaughters tens of thousands of his own people, that is not just a matter of one nation’s internal affairs — it breeds human suffering on an order of magnitude that affects us all. Likewise, when a terrorist group beheads captives, slaughters the innocent, and enslaves women, that’s not a single nation’s national security problem — that is an assault on all humanity. I’ve said before, and I will repeat: There is no room for accommodating an apocalyptic cult like ISIL, and the United States makes no apologies for using our military, as part of a broad coalition, to go after them. We do so with a determination to ensure that there will never be a safe haven for terrorists who carry out these crimes. And we have demonstrated over more than a decade of relentless pursuit of al-Qaeda, we will not be outlasted by extremists. But while military power is necessary, it is not sufficient to resolve the situation in Syria. Lasting stability can only take hold when the people of Syria forge an agreement to live together peacefully. The United States is prepared to work with any nation, including Russia and Iran, to resolve the conflict. But we must recognize that there cannot be, after so much bloodshed, so much carnage, a return to the prewar status quo. That is what I believe is America’s greatest strength. Not everybody in America agrees with me. That’s part of democracy. I believe that the fact that you can walk the streets of this city right now and pass churches and synagogues and temples and mosques, where people worship freely; the fact that our nation of immigrants mirrors the diversity of the world — you can find everybody from everywhere here in New York City — (applause); the fact that, in this country, everybody can contribute, everybody can participate no matter who they are, or what they look like, or who they love — that’s what makes us strong. And our people understand this. Think of the Liberian doctor who went door to door to search for Ebola cases, and to tell families what to do if they show symptoms. Think of the Iranian shopkeeper who said, after the nuclear deal, “God willing, now we’ll be able to offer many more goods at better prices.” Think of the Americans who lowered the flag over our embassy in Havana in 1961 — the year I was born — and returned this summer to raise that flag back up. (Applause.) One of these men said of the Cuban people, “We could do things for them, and they could do things for us. We loved them.” For 50 years, we ignored that fact.